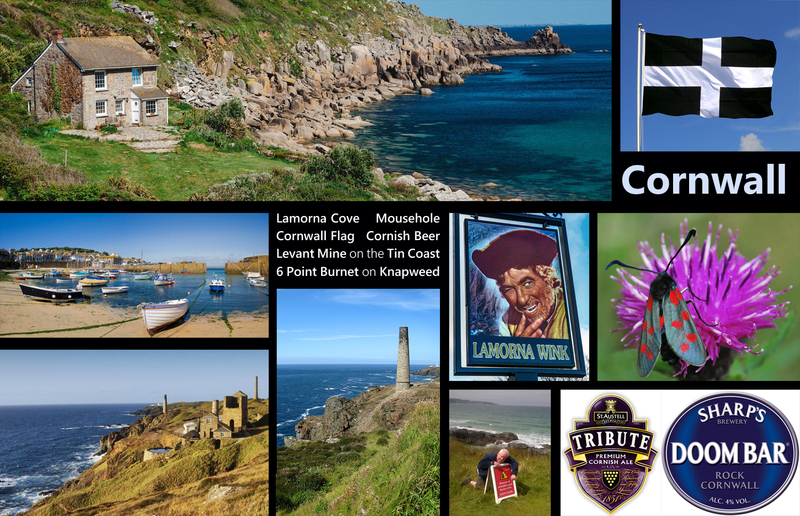 Pasties, Coastal Walks, Beaches, Real Ales, Six Spotted Burnet Moths, Knapweed plants, Copper and Tin Mines …. just a few of the Cornish Delights savoured during five days in Cornwall. Just back, exhausted with sore legs but refreshed from this short stay with three ‘old’ architect friends, walking along coastal paths, drinking various local beers, beach wading (in seawater up to the waist), wildlife watching, beer drinking, coastal mine visiting and more beer drinking. A most beautiful part of the world, especially when the weather is good. And we were lucky with three sunny days after a previous week of heavy rain. Here are a few ‘Cornish images’, reminders of a few glorious days in Cornwall.